Here are just a few cases of animal cruelty and hoarding with which the San Antonio Humane Society has assisted animal welfare agencies and the public. This gorgeous 3 1/2-year-old purebred Doberman Pinscher is Cleo! 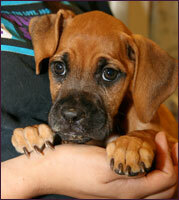 In early June, she was transferred from Animal Care Services to the SAHS. 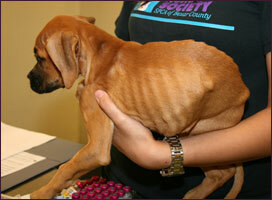 When she first arrived, Cleo was severely emaciated with several surface level wounds. This girl was starving for love, affection, and proper care. 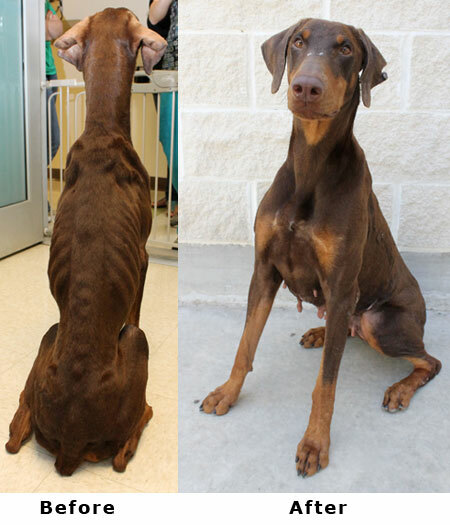 After spending some time at the SAHS, Cleo has gained weight and is now a happy, healthy pup! She looks like a completely different dog than the first day she came to the shelter. When visiting her at the SAHS, you may notice that Cleo barks when she is in her kennel, but take her out, go for a walk and spend some quality time with her and you will see what a sweet and friendly gal she truly is. Cleo is a larger dog and is looking for owners that will take her for daily walks and spend lots of quality time with her. She already knows how to sit on command, but would love for her forever family to teach her more tricks! 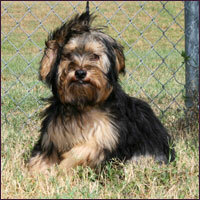 This canine cutie is looking for someone to give her a second chance at the life she deserves. 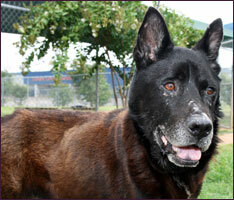 If you think that sweet Cleo could be the companion for you, adopt her today at the SAHS! This morning two good samaritans, Patricia and Tracy, witnessed a horrible act of animal cruelty. They saw a male and female get out of their car and throw something into the dumpster, at first this wasn’t a cause for concern, until they heard howling coming from the dumpster. They instantly went to check and there was Oscar, an extremely terrified 3 year old male Shepherd with all four legs duct taped together. Without hesitation or worry about her physical well-being, Patricia climbed into the dumpster to pull the 45 pound dog to safety. She and Tracy removed the duct tape, reported the cruelty case with the city and brought him to the San Antonio Humane Society. When they arrived at the SAHS, Oscar was so scared that our staff had to carry him in and after being evaluated by our clinic staff, luckily no injuries were found. He will be receiving a nice warm bath, a soft bed, a delicious breakfast and will be well taken care of here at the SAHS. Oscar is such a sweet boy and will be available for adoption soon. Stay tuned for updates on Oscar. June 6, 2014 - We are so happy to announce that Oscar was adopted and is at home with his loving family! He is now known as Dexter and will be the only pet in the home, so as you all can imagine, he will be very spoiled and he deserves it! 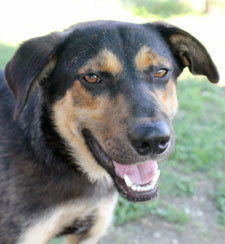 His family was preparing for his arrival throughout the week and were thrilled to pick him up on Thursday evening. We look forward to hearing from them in the future and cannot wait to see photos of them on vacation, swimming, playing with the grandchildren and just having a blast as a family! We all know the term polar vortex here in San Antonio, thanks to the many record breaking temperatures this winter, but not only did it affect all of us, it affected one particular canine family in early December 2013. As a Good Samaritan named Paula passed by an abandoned box on the side of the road, she felt inclined to find out if anything was inside. Much to her surprise, a Maltese, Miniature Poodle mix along with her four tiny puppies were left to fend for themselves inside the box. Sadly before being found by Paula, the mom had already passed away from unknown causes and one of her puppies had also passed likely from the freezing temperatures. The three puppies that were alive were taken to the San Antonio Humane Society in hopes of survival. When they arrived, they were visibly suffering from malnutrition and hypothermia. They also had a very foul smell and were covered in fleas and dirt. Unfortunately, one of the puppies fought hard but didn’t survive the first night with us. Winter and Snowflake, the two gorgeous miracle puppies who did survive, were put into a foster home with a great family to gain weight and complete their antibiotics necessary for their condition. For two months, these puppies were shown lots of love and affection and by the time they came back to the SAHS for adoption at 3½ months of age, they were super sweet, gentle, and well on their way to being fully potty trained. On Monday, February 3rd, Winter and Snowflake were adopted together by a family who immediately fell in love with them. They are now known as Dottie and Kit and are not only doing well, but they are quite spoiled! In the first week of November, two local police officers made a horrific find, a box with six starving puppies left in a dumpster. The mother was nowhere to be found, so the officers brought them straight to the San Antonio Humane Society. Not even 2 weeks old, these flea-infested pups still hadn’t opened their eyes yet. 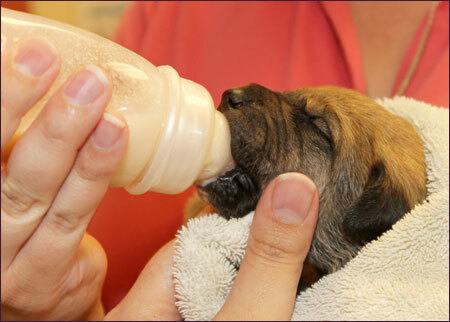 After being given a bath and fed, SA Humane was able to find foster homes. This story truly illustrates the importance of getting your pets spayed/neutered which can be done at the San Antonio Humane Society. You may remember a story about a litter of puppies we posted in early November. Six puppies were found in a dumpster, they were just days old, hadn’t even opened their eyes yet. They were hungry and covered in fleas. Our foster coordinator, Dee Dee Hernandez, quickly found them foster families to go home with and get a chance to grow up a little bit. Now, at eight weeks old, they are ready to adopt just in time for Christmas. Click here to learn more about our foster program and how you can participate! What a difference a day makes, especially for one of our shelter’s newest additions, an 8 year old female Maltese mix named Tipsy. On August 9th, Tipsy was thrown from a car into a parking lot. While this act is shocking in itself, Tipsy’s condition only added to the sadness of her situation; she was already suffering from malnourishment, anemia, and neglect. Luckily this event was witnessed and Tipsy was quickly scooped up and brought to the shelter. Read more about Tipsy here! The San Antonio Humane Society transferred in 8 dogs from last weekend’s animal cruelty case. 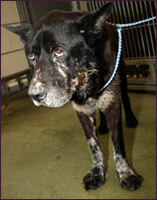 Animal Care Services had initially seized the dogs, but called the SAHS for assistance. Read more and watch a video about this case! The San Antonio Humane Society traveled to Houston to transfer dogs from the Houston SPCA after a large-scale dog breeding operation rescue in Waller County. 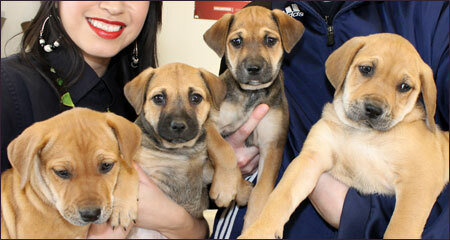 Over 200 dogs were rescued and the SAHS returned with 24 new additions to our shelter. 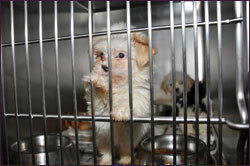 The dogs rescued were all small breeds, including Shih Tzus, Boston Terriers, Dachshunds, and other mixed-breeds. More info, photos and videos! 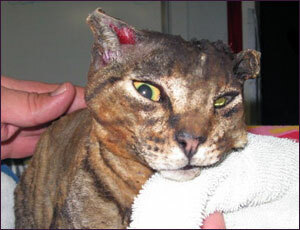 A 15-year-old boy was arrested in early April 2011 and charged with animal cruelty regarding the case of Buttercup, a cat that was found severely burned after being deliberately set on fire back in November 2010. 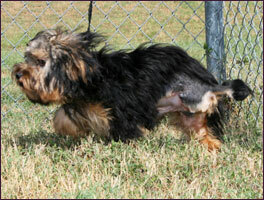 Buttercup was euthanized after it was determined his injuries and pain were too severe. The San Antonio Humane Society had offered a reward to the person or persons involved in supplying information that would lead to the arrest and conviction of the person responsible for injuring Buttercup. UPDATE: November 2011 - The boy has received 18 months of juvenile detention and state mandated counseling until 21 years of age. 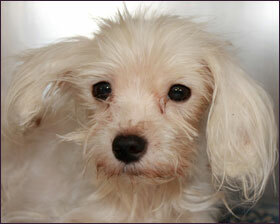 Shaun is a 5½ month old male Shih Tzu mix puppy who came to the shelter with a severely injured back leg. Due to the fast spreading infection, it was concluded that a leg amputation was in his best interest. He has made a remarkable recovery and is without a doubt back to his bouncy, fun-loving, and energetic self. Shaun will be available for adoption soon! Puppies found in a box! These puppies were found in a box on the side of the road on a cold December day (click here). Unfortunately, there are many cases of animal cruelty and pet hoarding each year in San Antonio. 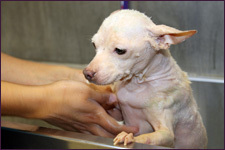 The San Antonio Humane Society works with area agencies including ACS, to care for the animals once they are removed from the harmful situations and environments they are subjected to. 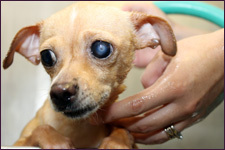 In 2007, the San Antonio Humane Society established an Abuse & Cruelty Reward Fund, to raise awareness of, and encourage the community to come forward with information about the mistreatment of animals. To contribute to this fund, please Donate Now.